Kay Marie and Carol's School of Dance (KMC) has teachers who bring personal integrity and the philosophy of striving for excellence, together with a sincere concern for the needs of each student. The studio continually offers the highest quality instruction with the emphasis on individual development. We strive to expand each dancer's imagination, build self-esteem, promote self-discipline and help establish a positive attitude toward teamwork and cooperation with others. Thank you for visiting and feel free to contact us for more information about KMC. Shannon has been with KMC for over 40 years, she walked in at the age of 5 and dance quickly became an important part of her life. Her love for dance continued on as she grew up, first hired as an assistant, then becoming a teacher. She has traveled across the country, attending conventions and learning from various choreographers. She choreographed and has performed for the Minnesota Timberwolves, Lynx and Vikings. She has won many awards with her dances, including technique, entertainment, and choreography. 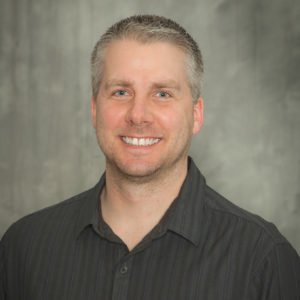 Upon taking ownership in 2016 of the Robbinsdale, Shorewood and Arlington studios, Shannon plans on continuing the values that have helped KMC get to where they are today. She strongly believes in giving back to the community, making every child feel welcome and safe in the studio. She loves teaching fun, challenging dances to kids and watch them take her vision and flourish. She is excited for the future with the team she works with! She currently lives in Shorewood, has three sons, Connor, Gabe & Quinn. In her spare time she loves gardening and spending time with her pugs. Mary has been affiliated with KMC Studios for over 16 years. Her daughter Molly danced at KMC for 13 years and her son Jacob is a current dancer and assistant teacher. Mary danced at area dance studios as a child, as well as her High School Dance Team and her College Dance Team where she was the captain. Mary has a B.A. degree from the University of St. Thomas in Elementary Education and a Master’s Degree in Human Resource Development from Clemson University. She has been in Human Resources for over 20 years and is currently the Human Resource Director for Minnesota Transitions Charter Schools. She lives in Fridley with her husband Kurt, children and two dogs. Mary loves all things dance especially watching young people grow in their skill and artistry. Joe is a son and nephew KMC founders, Kay Marie and Carol. Joe grew at the studio, taking dance and gymnastics classes throughout his childhood. Joe competed in high schools gymnastics at Armstrong High School and was a captain and an All-Conference gymnast. He has been teaching gymnastics for 30 plus years and is passionate about developing the skills of each and every student. 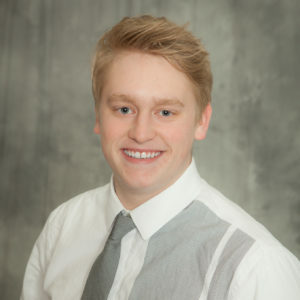 Joe graduated from the University of Minnesota and works for a financial services company in Minneapolis. He lives in New Hope with his wife Sandy and their three children, who all share his passion for KMC Dance. 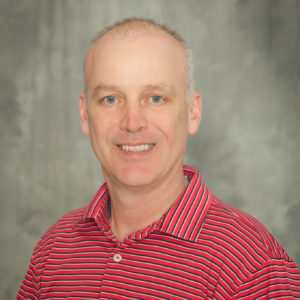 In his spare time, Joe enjoys coaching his daughters’ softball teams, boating and enjoys time with family and friends. Curt's bio to come soon. 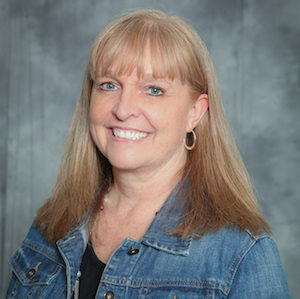 Krystl has been with KMC Dance for over 30 years. She stepped into the Robbinsdale location when she was four years old. Little did she know that she would fall in love with dancing, and her dance family. She competitively danced for over 12 years in group performances, duets, small lines, and as a soloist. At the age of 14 she started assisting young dancers and advanced to assisting performing lines known as the Show Unit at KMC. After graduating high school she began teaching classes of all ages. She has been teaching for over 20 years. 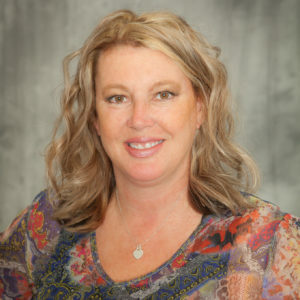 Krystl manages the Robbinsdale and Shorewood locations for KMC Dance. She now instructs all performing line classes. She is trained in ballet, pointe, tap, jazz, modern, lyrical and hip hop. Continuously growing her knowledge with dance, she has attended various conventions around the United States. Krystl has won many choreography and judge’s awards over the years with her group dances, soloists, and duets. Numerous dances have gone to Nationals in Las Vegas, Wisconsin, and Ohio. Her love for dance grows and grows each year. Teaching children the art of dance brings such fulfillment to her life. She believes dance is great for your body and mind and the studio is a place to learn great values in life. Gina has been with KMC for over 20 years. Throughout her years at KMC she competed in large groups, small lines and as a soloist. She also danced competitively on her high school dance team where she was captain and helped lead the team to State. She became an assistant at the studio in high school and then became an instructor. Gina teaches at the Robbinsdale and Shorewood locations. She teaches all ages from the preschoolers to our competition lines as well as runs the lyrical and contemporary program at both locations. Trained in ballet, tap, jazz, lyrical and contemporary, she studied lyrical and contemporary in Los Angeles for a year to help further her knowledge. Most recently, she helped lead many dancers to Nationals in Galveston, TX. While there, her students took home four runner up finishes, and won the title of national champion for Junior Small Lines, "Turn to Stone". She also received the choreography award for her Teen Small Line "This Bitter Earth." The KMC teachers, parents and students have become a second family to her. Her goal in each class is to teach students the love of dance through positive reinforcement. She believes every child has a place at KMC. Teaching kids dance brings her enormous amounts of joy! Taleigh danced at KMC for 15 years working her way up to competing in large groups, small groups as well as a soloist. She was also apart of her high school Dance Team on both performance and competition teams as captain. After graduating, Taleigh became an instructor for the studio, falling in love with dance even more. Taleigh teaches at all three studio locations. She teaches every age the studio offers from preschoolers to our oldest competition lines. 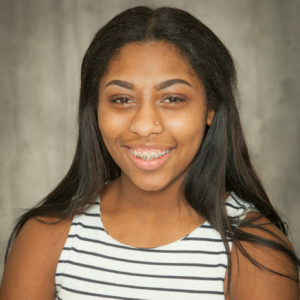 She leads the hip hop program at both Robbinsdale and Shorewood as well as the youth program at Robbinsdale, Shorewood and Arlington locations. 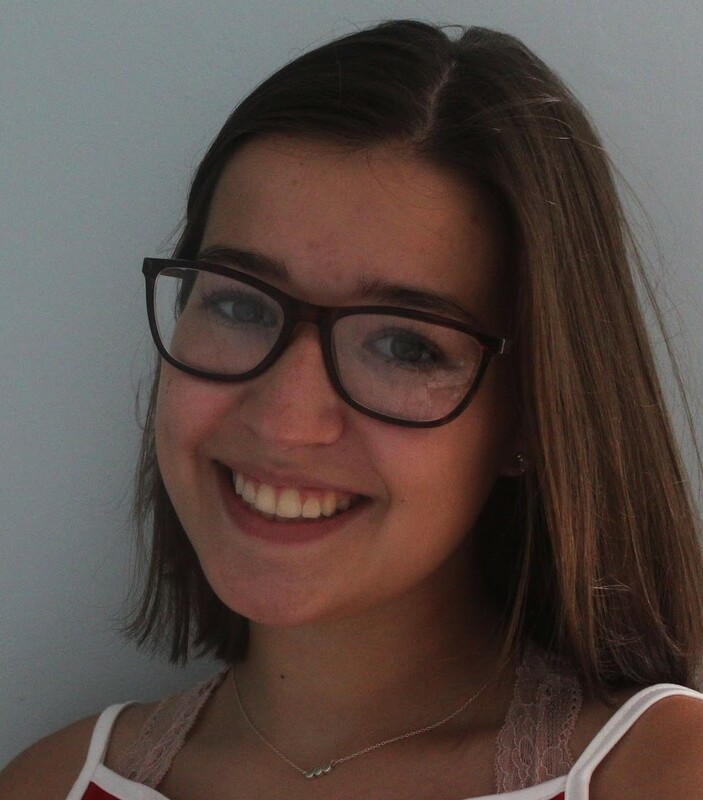 Taleigh is trained in ballet, tap, jazz, lyrical, contemporary and hip hop. She has attended many conventions offered by competitions to further her knowledge in dance. Taleigh has found such a great love for KMC throughout the years. She is extremely grateful to continue on with the studio teaching all the kids what she loves most. 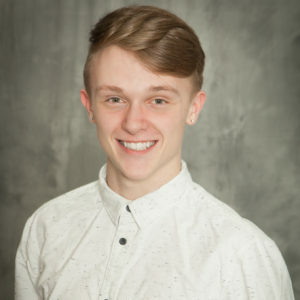 In addition to being an instructor and a teachers assistant at the KMC Studio in Robbinsdale, Jacob is a student at the University of Minnesota studying dance to hopefully obtain a bachelor of Fine Arts. Jacob started at KMC in the Mommy & Me class when he was just 3 years old. He has competed for years in both regional and national competitions, and, as a soloist using his own choreography, earned several awards. Most recently he competed at Hall of Fame nationals and won the Senior Solo Showdown with his solo "Over Soon". He also won the Senior duet trio Showdown with fellow instructor and dancer Jordan Case-Allen. Jacob feels lucky to have a family like KMC to come to almost every day and is excited to start a new chapter in his life as a teacher and mentor to the younger students. Jacob loves his dance family and knows he will always have them by his side, on and off the dance floor. Lauren is in the first mate's show unit at the Shorewood studio and has been dancing at KMC Dance for 14 years. Coming to the studio is one of the best parts of her week and this is her second year assistant teaching with all of the lyrical groups. Along with that, she has been on her high school dance team for 4 years. 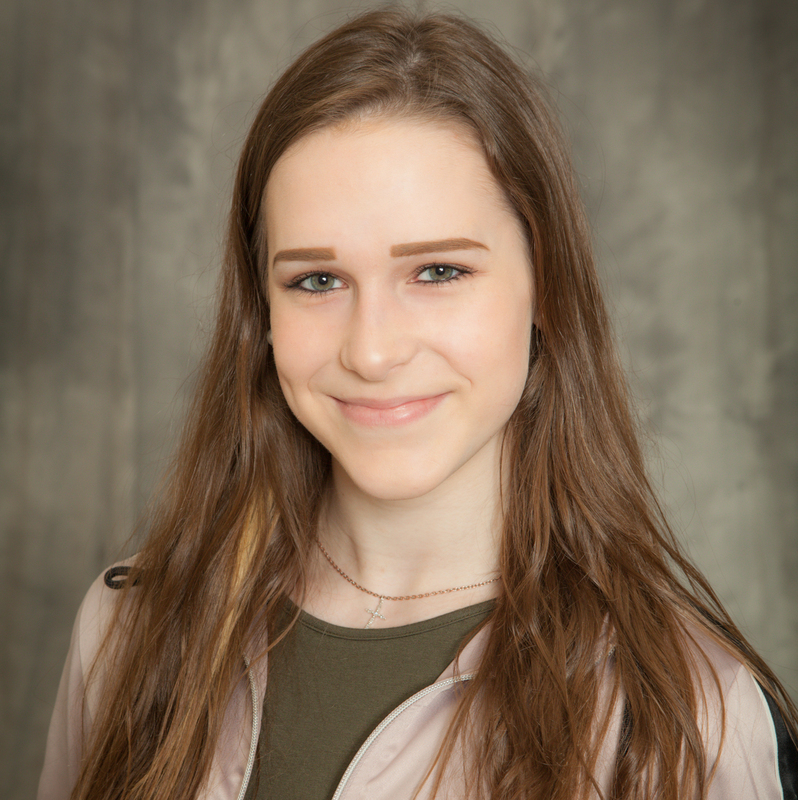 One of her favorite aspects of teaching is seeing how much all of the dancers improve throughout the year and she loves getting to know all the dancers at the studio as well. Throughout her years at the studio, she has competed in many group routines, solos, and duets. She loves all the people who dance alongside her and considers KMC her home after all these years. 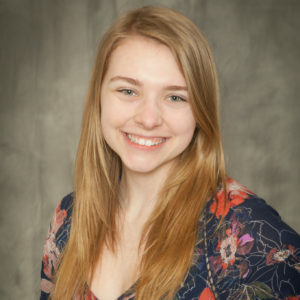 In addition to being an instructor and a teacher’s assistant at the KMC Studios in Robbinsdale and Shorewood, Jordan is also a sophomore at Mainstreet School of Performing Arts. Jordan started at KMC in the pre-show class at 6 years old and is currently a Rhythmette dancer . She has competed for several years in both regional and national competitions, and, as a soloist using her own choreography, earned several awards. Most recently her 2016 contemporary solo "My Kind of Love" won the ‘powerhouse’ award and fourth place overall at Hall of Fame nationals, and a second place finish in the Solo Showdown at the same competition. Jordan feels blessed to be a part of the KMC family. The studio truly is her second home and she loves sharing her passion for dance with the dancers she works with. Jordan loves dance and the supportive dance family she is a part of at KMC. Sarah Jaakola has been apart of the KMC family for the past 15 years. She can't remember a time when she wasn't dancing. This will be Sarah's 5th year working with KMC and she couldn't be more excited. Sarah has performed on a recreational and competitive level doing multiple group dances, solos, and duets. She is a senior at Champlin Park High School where she is also on the Dance Team. Going to the studio is the best part of Sarah's week. She loves to see the kids bright and smiley faces. When Sarah isn't dancing she enjoys playing with her dog and spending time with her family. 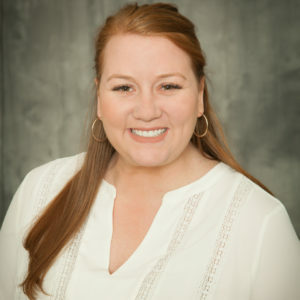 Ava Ronnigen has been with KMC for 13 years and this is her second year as an assistant. She loves working with kids, they have so much to say and always seem to be positive and smiling. Ava says that dance makes her happy and she enjoys coming to the studio because everyone is so nice. It's like one big happy family. The bond that she has formed with the other dancers is forever and she has met most of her closest friends through the studio. She is thankful for her KMC family. A senior at Buffalo High School, Austin is involved in National Honor Society, Baseball, Impact Leaders, and Students Stepping Up. He's been dancing at KMC since he was 3, for a total of 14 years, but his family has been a part of the studio for over 30 years. Austin has been competing solos and duets/trios since he's started, and has achieved high rankings and judge's awards throughout the years. His favorite parts of dancing at KMC are performing for others, and our commitment to the community and many various charities. Austin has made many forever friendships and considers KMC to be his second family. Since he's started working at KMC, he's found that he really enjoys working with kids and teaching them new things. He especially enjoys assisting the Daddy/Daughter dance every year, because he gets to work with various ages, and gets to know the families as well as just the students. Because of this, he's worked at student care centers and plans to become a pediatrician to continue working with children in the future. Austin hopes to help every student enjoy dancing and to remind them to always have fun! Ahna has been dancing at KMC for 12 years and just completed her 9th year of gymnastics. She is the granddaughter of KMC co-founder, Carol, who passed on to her a love of teaching. What Ahna loves most about about KMC is that the studio is like one big family and the continued commitment to serve in the community. Her favorite thing about assisting is watching all the gymnasts grow and develop. Ahna has two sisters who both dance and take acro at KMC. 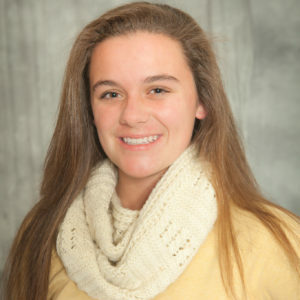 She attends Armstrong High School and when she is not at the studio, she is playing fastpitch softball. Maria's bio to come soon. Grace has been dancing with KMC for 10 years and is thrilled to be part of the KMC instructing team. She is currently a teacher’s assistant for both the Robbinsdale and Shorewood studio’s. 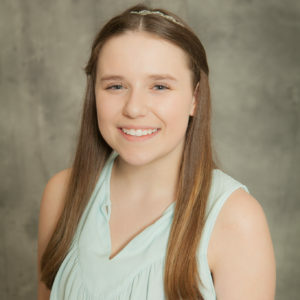 In addition to assisting, Grace has participated in a variety of group routines, solos and duets on a recreational and competitive level. Most recently, Grace competed at the 2018 Hall of Fame Dance Nationals and won 1st overall in the teen division for her solo “Should Have” and took 1st runner up for her duet “Waiting”. 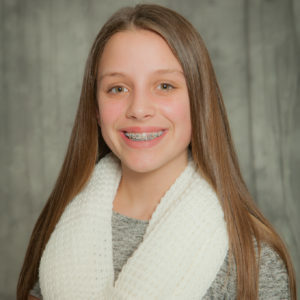 Dance at KMC has been so much more to Grace than just a sport, its provided her with a second family and she is beyond excited to share her enthusiasm for dance with others. Grace has been dancing at KMC for 12 years. She is beyond excited to be a part of the KMC instructing team. She loves being at studio where she feels included and loved by everyone. Grace dances at the studio several times a week and enjoys every minute of it. Grace says that there is no place she would rather be. The dancers and instructors at the studio are her second family. The amount of care, trust, and love shared through the studio is what makes Grace so happy to be a part of the family. She is very grateful for the zany group of people she can call her KMC family. 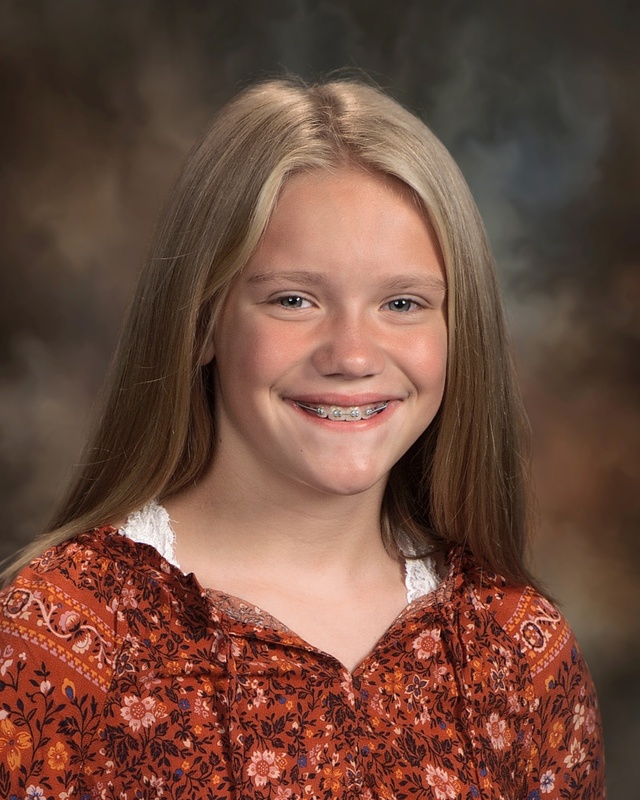 Maryn, a ten-year dancer, first began her training with Just for Kix in Brainerd, MN. 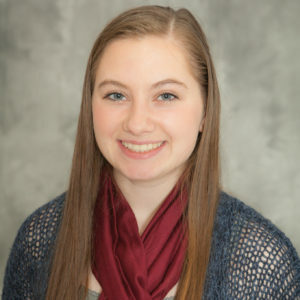 Following a family move to Arlington, MN, KMC Dance became her second dance family as she entered kindergarten at Sibley East. As she grew in age and passion, she joined the “Show Unit” in Shorewood. And, most recently while juggling a scheduling conflict, she chose to register for classes at the Robbinsdale Studio. Dancing and sharing her love for dance with her friends and families is what she likes most about KMC! Much of Maryn’s success can be attributed to her instructors and choreographers. 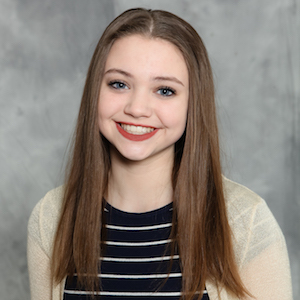 This summer, Maryn’s junior small line, “Turn to Stone,” won the National Championship title at the Hall of Fame Dance Challenge in Galveston, Texas. “Muddy Waters,” a contemporary group, was awarded first runner up; and her solo, “Equation,” garnered a First Place Platinum, Judges’ Choice Award for Showmanship, and a Top Score finish. She was also invited to perform as a member of the Hall of Fame 2018 All-Star team which is the opening production for the World Series of Dance finals. Outside of the studio, you can find Maryn playing softball, dancing for the Minnesota Vikings All-Stars, participating in Girl Scouts, altar serving at her church and she is a member of the academic honor roll at Sibley East.This fall, Maryn was hired as a teacher’s assistant in Arlington where she enjoys helping dancers in her hometown on Wednesdays.Maryn looks forward to meeting more dancers at each of the studios, helping them grow, and making memories and friendships that will last a lifetime!